FREE Diagnostic - with Legacy Appliance Repair you only pay for the parts and labor when you finish a repair. 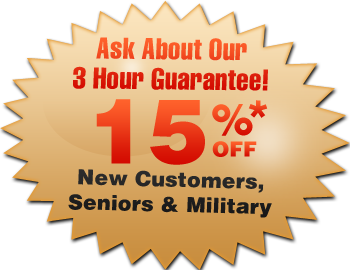 If you complete the repair with us we waive the estimate fee. 100% Satisfaction Guaranteed – You are in good hands! If things don't go according to plan, or you unhappy with our service in any way, we will make sure to get the smile back on your face - We Guarantee It. with us the best ever. We have the nicest most knowledgeable customer support team in Brooklyn. Give us a call and see for yourself! Certified, Licensed and Insured – We get only the best technicians in Brooklyn to work with us. All of our technicians are licensed and certified by most major home appliance brands and insured with a $1,000,000 liability insurance. No Lemon Quotes – Our quotes are set in stone. We will never charge you hidden fees. With Legacy Appliance Repair it's all simple - What You See Is What You Pay.